By Brian Voo in Toolkit. Updated on November 13, 2018 . 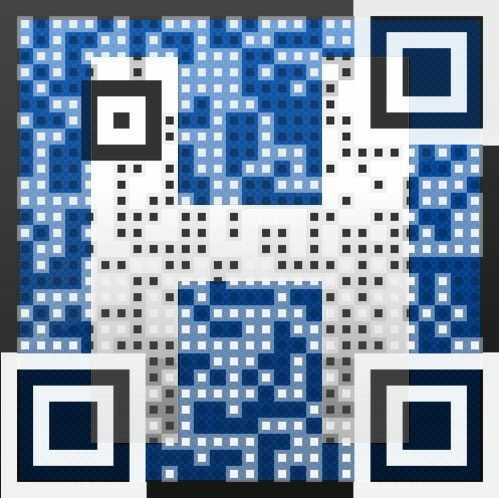 QR codes can be used to store text information ranging from URLs to application links. These QR codes can be generated online or via a smartphone app. Most of the time, these generators create just the basic black and white QR codes as these are the safest designs to go with – one box out of place and the reader might not be able to translate the stored information, making the QR code useless. But then there are some creative designers who go beyond the call of duty to produce really stunning artworks like the ones you see in this post: 40 Gorgeous QR Code Artworks. You can create your own customized and colored QR Codes yourself, but if you are not into design but still want an interesting QR Code, then Visualead can help. 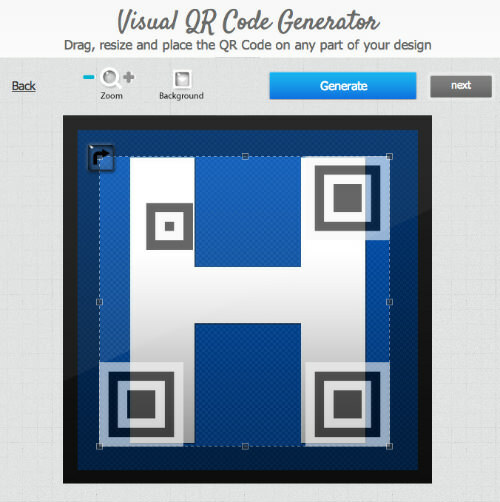 Visualead allows you to turn any design or logo into a working, scannable QR Code. First register for an account at the site. 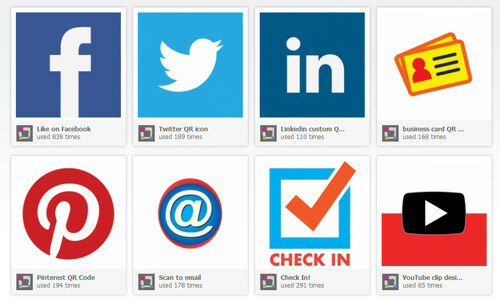 First, you need to upload the design or logo you want to use with your QR Code. Five types of image formats are supported, namely JPG, PNG, TIF, BMP and GIF (of 72 to 600 dpi). Alternatively, you can also select from one of their many ‘stock’ designs which included popular brands like Facebook, Twitter, LinkedIn and Pinterest. After an image is uploaded, you will be redirected to the editing page to select the type of information (see below) your QR code is to carry. If you choose to include the ‘Facebook’ profile, you need your Facebook profile or group ID. 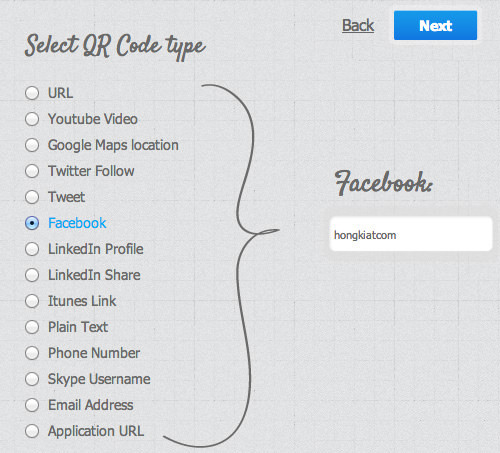 For example, to display hongkiat.com’s Facebook Page in the QR Code, we just put in ‘hongkiatcom’ instead of the full URL: ‘http://www.facebook.com/hongkiatcom’. The QR Code can also carry other contact info such as ‘Skype Username’ in the code. When someone scans it, the Skype program will launch on their computer or smartphone and your username will be added to their Skype account. If your code carries ‘Phone Number’ instead, once it is scanned by a smartphone, your number is automatically dialed. Here, you can resize and move the QR code to better fit and blend into your design. You can also place the QR code at strategic locations on your logo or poster so it does not get in the way of the rest of your text or design. After you decided the size of your QR code, click next to preview it. If you’re satisfied with the preview, click next again to get your complete customized QR code image. Visualead is available for free or for a price. 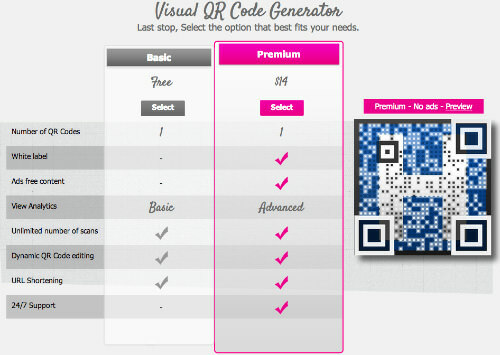 For $14 per QR Code, you get the ad-free experience. In the free version while the code is being generated, you will be served some ads for a few seconds. 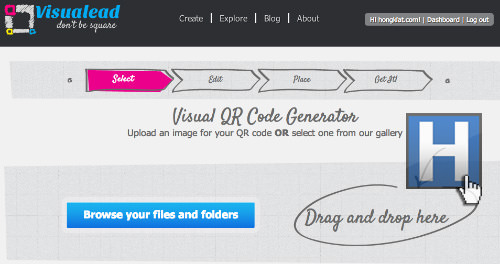 Visualead adds a nice touch to your QR Codes, which blends well with your design. Unlike the traditional white box, you can add color to it to match your background or your product/logo design. There is a slight snag near the end, right before your code is revealed to you but it’s a bargain for a free trial.